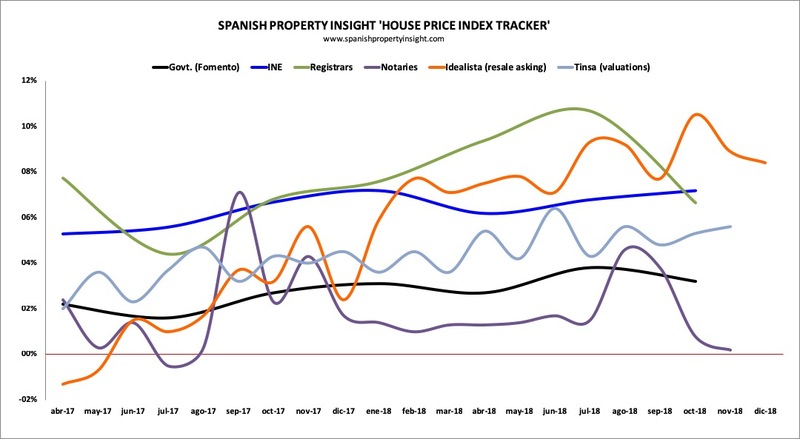 The SPI House Price Index Tracker plots the progress of the six most-watched house price indices in Spain, and brings them together in the chart above. As I always point out, these national indices don’t tell us anything about local markets, but they do give us some idea of where we are in the property market cycle. All of them show Spanish house prices rising in 2018, though with a considerable difference between the figures from the notaries showing prices up just 0.2% in November, and the asking price figures from Idealista showing prices up 8.9% in the same month. That said, asking prices in Spain are an unreliable guide to house prices because the market is so opaque that vendors don’t know what to ask, so tend to ask too much. Some people argue that the figures published by the notaries are the most timely and reliable, based as they are on actual sales per month, but the problem I’ve found with their data is it’s always provisional and subject to significant change months after publication. For example in September the notaries published a report saying that house prices declined by 4.5% in July, which grabbed the headlines in Spain. But in their latest report I see that figure has been revised to a increase of 1.5% in Spanish house prices, which went totally unreported. The Spanish house price index published by Tinsa – one of Spain’s biggest appraisal companies – shows house price changes by area, with the big cities (mainly Barcelona and Madrid) up 9.4% in November, the Mediterranean coast up 7.8%, and the Balearic and Canary Islands up 2.3%. We’ll have to wait a bit longer to see the final figures for 2018, but all in all I expect they will show prices rising in areas that attract foreign buyers. 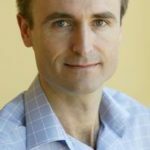 Mark Stücklin is a Barcelona-based Spanish property market analyst, and author of the ‘Spanish Property Doctor’ column in the Sunday Times (2005 – 2008).